St Gregory's Margate Charity Pyjama Day was a Success! 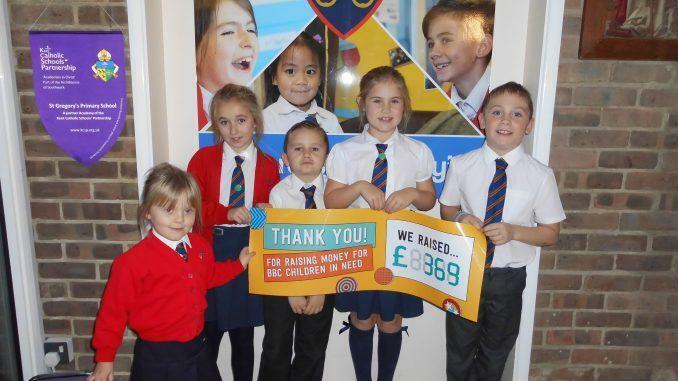 St.Gregory’s Catholic Primary in Margate held the ultimate “dress down Friday”, in aid of Children in Need. Children arrived at the academy wearing their pyjamas and managed to raise an amazing £369 for the charity through a bake sale and raffle. Support worker Tamara Rattigan spoke to the The Isle of Thanet News and said: “The whole school really enjoyed taking part in the event and we look forward to raising even more for the charity next year.” Well done to all involved in such an amazing cause! To see the article, please click here.